Mighty classic melodic hard rockers Mad Max, who were formed in Munster in Germany 35 years ago, have announced the release of their magnificently muscular new studio album, '35', as a DigiPak CD, 180 gram red with black swirls vinyl LP (with printed inner sleeves + CD in cardboard case), download and stream on Steamhammer / SPV on August 10th. '35' is a stupendous, classic yet totally contemporary melodic metal album, packed with immediately hummable, hard rocking anthems, all bursting with huge hooks and massive, groove-laden powerful guitar riffs. An amazing video for stand out single 'Beat Of The Heart', (which could be described as the 2018 successor to Mad Max's most important hit 'Night Of Passion'), is set to be unveiled in June. Guitarist J�rgen Breforth states that; "For once in the history of Mad Max, we wanted to shoot a video that has the look and the cinematic quality of a real little motion picture. Thanks to the support of our sponsor Hubert Teichmann, we got that opportunity at last." Hubert Teichmann, (the owner of the private "Staudenbahn" railway line near Augsburg), who has been a staunch patron of the arts for a number of years, supplied the financial means that enabled Mad Max to film a clip in Berlin with a number of actors, among them leading man Vinzenz Kiefer (The Baader Meinhof Complex, the action/crime drama series Alarm f�r Cobra 11, Jason Bourne) and director/screenwriter Oliver Bethke. Particular album highlights include the programmatic 'Rocky Road' with its lyrics about the inevitable highs and lows that every rock band has to go through on the course of its career, or the rhythmic, belligerent 'Snowdance'. Breforth; "Stylistically, this song stands out among the other tracks, which is why we weren't sure initially whether to include it on the album." Mention must also be made of 'False Freedom' with its socio-critical content, and the uptempo groove ridden track 'D.A.M.N. ', (short for 'Devil's After Me Now'), which were co-written by Breforth with American lyricist Jason Smith. The album's bonus track is a sizzling cover of 'Paris Is Burning' in homage to Dokken, one of the most important inspirational sources of Mad Max's whole career; Breforth: "Don Dokken himself has authorised our version." '35', which was perfectly produced at the Kidroom Studios in Greven [except for the drums, which were superbly recorded under the guidance of Rolf Munkes (Crematory, Phantom 5, among others) at his Empire Studios in Bensheim near Frankfurt] was then expertly mastered at CS Mastering in Bratislava by Christoph 'Doc' Stickel (Michael Schenker Fest etc). Explaining why it took five years for the follow-up to 2013's highly rated 'Interceptor' studio album to come to fruition, Breforth states that "We've never produced a new album just because a record company asked us to or because it was supposedly high time to come up with a new recording. For us the all-decisive question before every production is merely: 'Do we still have enough ideas for an album that we as well as our fans will get excited about?' Only if everybody involved agrees on that point will we begin to work." '35' will not only appeal to every existing Mad Max aficionado, but is also set to win over hordes of new fans, once fresh ears hear these compelling classic hard rock compositions. 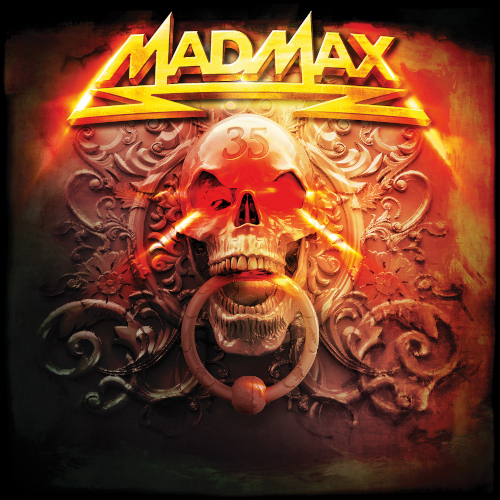 Celebrated veteran classic hard rockers Mad Max, who hail from from Munster in Germany, are set to release a brand new album, 'Thunder, Storm & Passion', containing 12 re-recorded classics from their three breakthrough 1980s LP's, on Steamhammer / SPV, on August 28th. 'Thunder, Storm & Passion', which will be available as a high class digipak, (with a bonus 8 track 'Live At Bang Your Head Festival' CD), is a modern, state-of-the-art re-recorded 'best-of' collection of songs from the band's very successful 1984-7 period. Mad Max, who formed in 1982, inspired by the New Wave Of British Heavy Metal, were one of the first bands to sign to the fledgling Roadrunner Records label, alongside acts such as Metallica, King Diamond and Lee Aaron. The band's glorious 'Rollin' Thunder' (1984), 'Stormchild' (1985), and 'Night Of Passion' (1987) albums won a huge following all around Continental Europe and extensive tours with the likes of Pretty Maids, Uriah Heep, Stryper and Yngwie Malmsteen, let alone a slot on the legendary Dynamo Open Air Festival in Eindhoven. But Mad Max imploded just as they found themselves on the verge of their American breakthrough at the close of the 1980's. Then, following a long hiatus, the original line-up reunited and signed to SPV Records, who released the follow-up to 1987's 'Night Of Passion', dubbed 'Another Night Of Passion', in March 2012. A completely fresh, awesome album containing 11 brand new, anthemic, groove-laden classic hard rock compositions, 'Another Night Of Passion', was awarded 8/10 in Powerplay by writer Martin Howell, who raved: "The band sound in great form; it's like the past quarter of a century never happened. This is late 80's melodic metal, pure and simple�Overall, this is an excellent melodic rock album from one of Germany's finest." Mad Max subsequently starred on the stages of festivals such as Rocklahoma, Wacken, Bang Your Head and Rock Of Ages, let alone on two European tours as special guests of Axel Rudi Pell. The illustrious follow-up, October 2013's 'Interceptor' album, won even more critical acclaim than its predecessor. 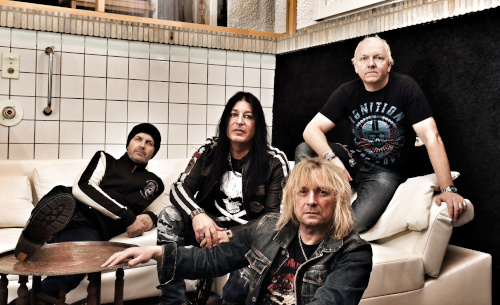 Classic Rock's Dave Ling, who rated the album 8/10, proclaimed "Still fronted by Michael Voss of Michael Schenker fame, Germany's Mad Max have picked right up from where last year's 'Another Night Of Passion' left off. 'Interceptor' is another fine set of punchy, muscular and immediately hummable anthems, all featuring cool vocals." Now, 'Thunder, Storm & Passion' sees Mad Max going back to their roots to record brand new, totally updated versions of 12 of their very best tracks from the 1980's. 'Thunder', (Rollin' Thunder), 'Storm' (Stormchild) '& Passion' (Night Of Passion), is an absolute must- have for old fans, let alone a sublime introduction to potential new fans of this mighty melodic hard rock machine. “Although Mad Max have issued many albums since their 1987 debut ‘Night Of Passion’, the German hard rockers have yet to follow it in terms of quality – until now. Recorded by their best-known line-up, including singer Michael Voss, (last seen working with Michael Schenker) , ‘Another Night Of Passion’ is essential listening for fans of Dokken, Y&T and Bonfire. 8/10” – Dave Ling, Classic Rock, May 2012. “The band sound in great form; it’s like the past quarter of a century never happened. This is late 80’s melodic metal, pure and simple…Overall, this is an excellent melodic rock album from one of Germany’s finest. 8/10” – Martin Howell – Powerplay, May 2012. Multiple album highlights include the haunting opener ‘Save Me’, the hard driving ‘Sons Of Anarchy’, ‘Revolution’, with its gritty guitar riff, plus ‘Godzilla’ and ‘Streets Of Tokyo’, two songs influenced by Michal Voss’ tour of Japan with Michael Schenker’s band. ‘Godzilla’ is all about the emotions felt when walking through the narrow streets of Tokyo with their breath-taking skyscrapers, remembering them as the backdrop to that classic movie, while the lyrics of ‘Streets Of Tokyo’ were penned by former Scorpions drummer Herman Rarebell, who also toured Japan with Voss and Schenker. Then there’s ‘Five Minute Warning’, which Breforth and Voss composed in collaboration with American songwriter Van Preston. “Following our performance at the Rocklahoma festival, Vossi and I went on to Nashville to meet up with Van and write a track with her. The result is, in my opinion, a thought-provoking lyric about the continued destruction of our environment. Van Preston has a rather European point of view in this respect and denounces the ruthless exploitation of natural resources.” ‘Show No Mercy’, an updated version of a bonus track from 1987’s ‘Night Of Passion’, tells the story of the Wounded Knee Massacre of 1890, from the point of view of a Native American; “instead Of Keyboards, there are even more guitars, which makes the number sound contemporary and gritty” (Voss). The original classic line up of celebrated 80’s hard rockers Mad Max, from Munster in Germany, have reunited after 25 years to record and release ‘Another Night Of Passion’ - the true follow up to 1987’s legendary ‘Night Of Passion’ - on Steamhammer / SPV on March 26th. ‘Another Night Of Passion’ will be released in both standard jewel case format and as a limited edition, high class 2 CD digipak with a bonus, 11 track ‘Official Bootleg – Live In Berlin’ disc. In April, Mad Max will set off on tour as special guests on Axel Rudi Pell band’s European tour, thundering in to the UK to play London’s Camden Underworld on April 22nd. Mad Max had already won over a huge following all around Continental Europe and Japan by 1987, when they found themselves on the verge of their American breakthrough. Everything was ready back then, with a renowned producer lined up to tweak the band’s hugely acclaimed ‘Night Of Passion’ album for the American market, a US concert booking agency on board and, major interest being shown in the band by the American rock press. But the unfathomable business policy of the band’s Dutch record company stood in the way of the leap across the Atlantic; Mad Max never made it over to the US market and a dream was shattered - along with the legendary line up. Now Michael Voss, Jürgen Breforth, Roland Bergmann and Axel Kruse have reunited to turn the wheel of history back 25 years and write and record the follow-up, ‘Another Night Of Passion’, a completely fresh, awesome album containing 11 glorious, brand new, anthemic, groove-laden classic hard rock compositions. Michael Voss, who is also an accomplished producer in his own right, notes that “It’s a real 2012 album when it comes to production and sound quality; our vision was of something really new but with the classic vibe.” Guitarist Jürgen Breforth explains that “The new record could have been a direct successor to ‘Night Of Passion’ in terms of its stylistic direction – no ballads, no keyboards, just purebred rock songs – naturally in a contemporary sonic guise”.